ICICI Bank which is one of the biggest bank operating in India as well as one of the most trusted Financial institute of India. 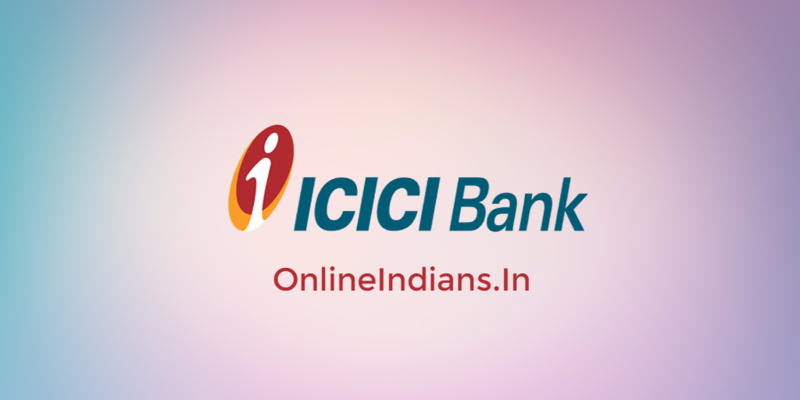 I think you have already completed your task to open bank account in ICICI Bank if not then you can read our previously published guides on Online Indians and get your account opened. But if you have already opened an account and now you want to update or register mobile number then you have been landed on the right website here. Because in this guide we will tell you the complete procedure which you need to follow to change or update registered mobile number. I have mentioned the steps which you need to follow to register mobile number with ICICI Bank account using the ATM machine. The steps are very easy and just like transferring money using ICICI ATM machine or I can say same as withdrawing money from ICICI ATM machine. Now let us get started with this guide and check out the steps which you need to follow to register mobile number with ICICI Bank account. So as I have already mentioned that we will be using the ATM machine of the bank, the first thing you will have to do is find an ATM machine which is near to your location. But you have to make sure that you visit the ATM center which is owned and operated by ICICI bank and not any other bank. Step 1: Dip in your ATM or debit card into the machine. Step 2: Enter your 4 digit ATM PIN number into the machine using the keyboard of the machine. Step 3: As soon as you enter your PIN number you will be asked what you want to do? and many options will be displayed in front of you. Step 4: From those options select More Options which you will find at the right bottom area of the screen. Step 5: Now you will get few more options of the machine, from those select Register Mobile Number option. Step 6: Enter your mobile number to register with your ICICI bank account and follow the on-screen instructions. So this is how you can register mobile number with ICICI bank account using the ATM machine, I hope you are clear with all the steps which are mentioned in this guide. You can refer this below embedded video which is made by Dream Media YouTube channel for an clarity on how you to use the ATM machine of ICICI bank. If you want to read this process in other banks which are operating in India like State Bank of India, Canara Bank, Central Bank of India and Bank of India etc. But in case you have any kind of doubts then you can leave your comment below.